The survey, run by the Incorporated Society of Musicians (ISM) in partnership with the Royal College of Organists (RCO), is the only survey of this type in the UK. Over 600 musicians responded, giving an authoritative overview of what organists and directors of music are paid for their work. More than 611 musicians took part in this survey, which is the largest of its kind in the UK. The survey was carried out for us between 2 May and 2 July by independent statisticians at the University of Reading. We asked musicians about what they were paid for playing at regular services and for specials services such as weddings and funerals in 2016. These survey results are not recommendations. Competition law prevents us – and other trade associations and organisations - from making any recommendation in respect of fees for self-employed musicians. 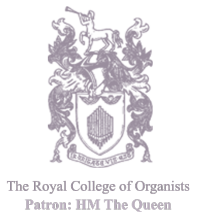 The Royal College of Organists has supported and represented organists and choral directors for more than 150 years. With members in nearly 40 countries around the world, we work together to promote the best in organ playing and choral directing, to encourage anyone who is interested to learn more about this fascinating and versatile musical instrument, and to explore its history and repertoire. Supporting organists and choral directors of every age and all levels of attainment, our vision is of a world in which organ and choral music are widely valued as being central to cultural and spiritual life. The Incorporated Society of Musicians is the UK’s fastest growing professional body for musicians and a nationally recognised subject association for music. We were set up in 1882 to promote the art of music and to protect the interests of all musicians. Today we support nearly 8,000 members with unrivalled services and expert advice, from study up until retirement and beyond.